The recent years have seen an explosion of excellent iPhoneography websites, courses and online communities. These resources, together with their readers, have contributed enormously to the development of this emerging photography genre. Updated for 2014, this page lists the world’s leading mobile phone photography resources that provide value to iPhoneographers. AMPt Community is a network of mobile photographers, artists and videographers. AMPt is a huge resource where one could spend hours at a time. AMPt features include user profiles, photo and video uploading, chat, blogs, forum, photo challenges, featured artists and more. Art of Mob, previously known as iArt Chronicles, is a mobile photography blog by Geri Centonze (check out my interview with Geri). In this blog Geri features amazing iPhone photographers, shares industry news, and posts great photo editing tutorials. My favorite section of this blog is The Whole Story, where an interesting and often mysterious photo is featured and described in more detail. Creative iPhoneography is an iPhone photography blog and community by a passionate iPhoneographer Kristen Radden. In addition to sharing her own photos, Kristen also posts iPhoneography workflows, monthly photo challenges and more. David Molnar is the author of iPhoneONLY Photography ebook who also shares free iPhoneography tips and tutorials on his iPhone photography blog and email newsletter. David also works as a professional photographer specializing in music and advertising photography. David Pasillas is a professional photographer who likes to take photos with the iPhone in his spare time (check out my interview with David). David has an iPhone photography blog where he shares his iPhone photos and writes about how they were created. Davide Capponi is an iPhone artist and photographer from Italy with a unique style of artistic photo editing (check out my interview with Davide). On this blog David shares his iPhone photography and explains the editing behind his amazing photos. While EyeEm is primarily known as a photo sharing app, they also have an interesting mobile photography blog where they run photography challenges, feature talented photographers and share mobile photography tips. Grryo is a mobile photography website with a goal to promote and support mobile artists. Their website contains numerous excellent mobile photography articles, tutorials, reviews and interviews that were published by the members of the community. A bilingual resource in both French and English, Hipstography is a community dedicated to the Hipstamatic photo app. Hipstography allows users to submit their photos, which are then featured on the website. This is the place to go if you’d like to learn more about the different lens and film combinations offered by Hipstamatic. Hossedia.com is a blog by Justin Balog, a professional photographer and the author of The Art of Mobile Photography video course. 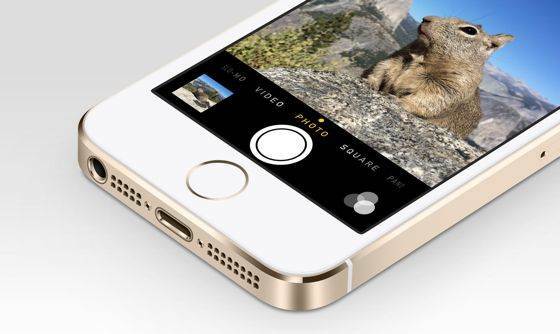 In this blog Justin covers different topics related to iPhone photography every Friday. It turns out that there are specific things that anyone can do to take incredible iPhone photos. That's why we've created this video revealing 7 little-known tricks for taking incredible iPhone photos that everyone adores. Click here to watch this video. Instagramers is a global community of Instagram users and mobile photographers. In addition to Instagram, this website covers mobile photography apps, tutorials and other relevant news. There are hundreds of local Instagramers networks around the globe, so check that out if you’d like to meet up with mobile photographers from your area. 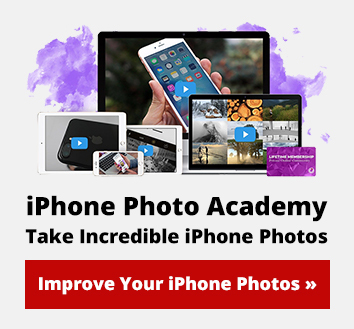 iPhone Photo Academy is an in-depth iPhone photography training program by Emil Pakarklis, the founder of iPhone Photography School. This program has helped hundreds of students take better photos with their iPhone than most people can take with a DSLR. iPhone Photography School – which is the website you’re currently reading – teaches people how to take and edit better photos with the iPhone. With in-depth iPhoneography tutorials, interviews and a weekly photo contest, iPhone Photography School is one of the world’s leading iPhone photography resources. With regular app reviews, tutorials, artist features, gear reviews and more, the iPhoneography Central is one of the world’s leading iPhone photography websites. iPhoneography Today is a curated online newspaper by iPhoneography expert and a lifelong photographer Jack Hollingsworth. Jack keeps up with everything that’s going on in iPhone photography and shares all the important news in this online newspaper. Karen L Messick is a professional photographer and a talented iPhone artist who mostly works in a painterly style (check out my interview with Karen). Karen has an iPhone Adventures blog where she shares her iPhone art and explains how it was created. MobiTog is a popular mobile photography forum and community where members can share photos, ask for feedback, get their questions answered, and otherwise exchange ideas related to mobile photography. While Mobiography is primarily a mobile photography magazine for iPhone and iPad, they also have a great website covering photo apps, tutorials, interviews with talented iPhoneographers, industry news and more. There’s a lot of value on the site even if you don’t want to subscribe to their digital magazine. Paul from Skipology is an acclaimed iPhone photographer who shares his photos and iPhoneography techniques on this interesting and great-looking website. The App Whisperer is a large and prolific iPhone photography website. While their primary focus is app-related news, they also publish interviews, tutorials, industry news, competitions and a lot more. There are over 20 talented columnists writing for The App Whisperer – including many award-winning iPhoneographers – and each column is as individual as the artist himself. Finally, I have to apologize that some deserving resources are probably left out from this list. While I tried to be as comprehensive as possible, there is just no way I could mention everyone on this page.